Imagine a sandwich made of two of your favorite foods. A few years ago I found my dream “sandwich”. Only it wasn’t a sandwich but a dessert that made one delicious sandwich-like confection. The best part is that it’s super, super easy to make and people who eat it are VERY impressed. 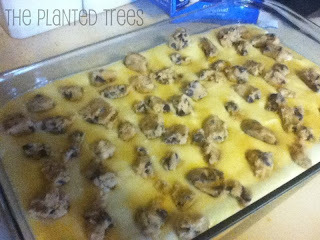 First, slice one roll of cookie dough into 24 slices and put in the bottom of a 13x9 inch pan. I’m kind of obsessive about this so I press the slices together to make one solid crust. Next, beat the eggs until fluffy. 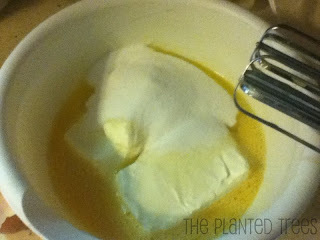 Add the sugar and cream cheese, beat until smooth. Pour over the sliced cookies. 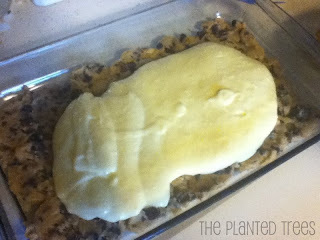 Slice the second roll of cookie dough and put on top of the cream cheese mixture. 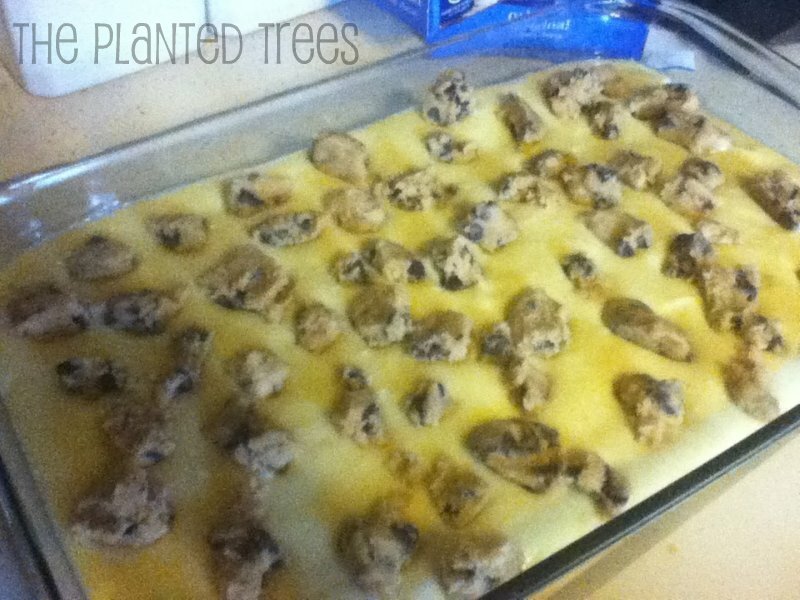 I just do blobs of cookie dough instead of slices. Bake at 350 degrees for 45 to 60 minutes. Cool, refrigerate, and eat! 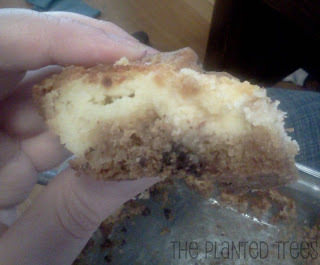 What could be better than chocolate chip cookie crust with a cheesecake filling? NOTHING! Preheat oven to 350 degrees. 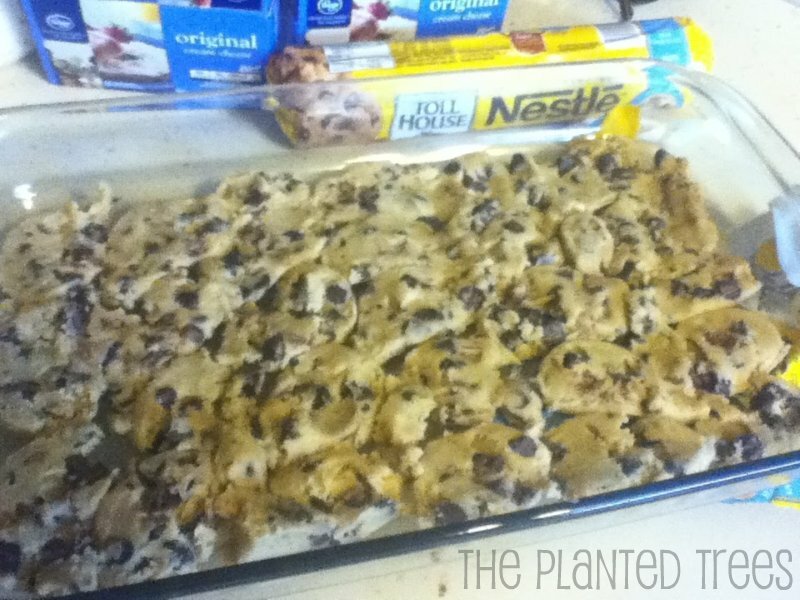 Slice one roll of cookie dough into 24 slices and put in the bottom of a 13x9 inch pan. Beat eggs until fluffy. 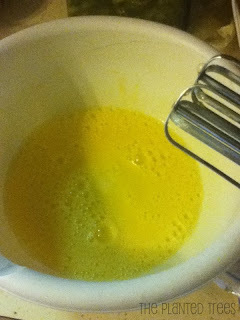 Add sugar and cream cheese, beat until smooth. Pour over the sliced cookies. 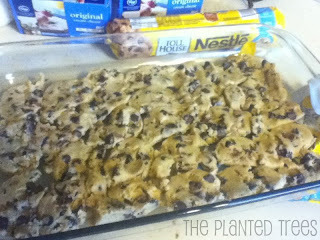 Slice the second roll of cookie dough and put on top of the cream cheese mixture. 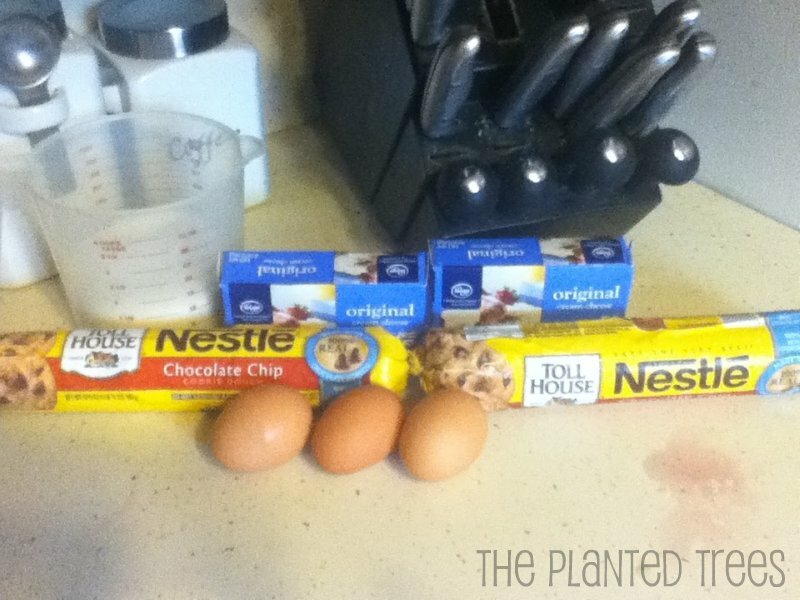 Bake for 45 to 60 minutes. Cool and refrigerate. Make you some...then go from salivating to munching!